The year 2016 started with a couple of free SSL certificate solutions. CloudFlare offers a free certificate for all their customers; Amazon joined with AWS Certificate Manager, and Let's Encrypt is in public beta. 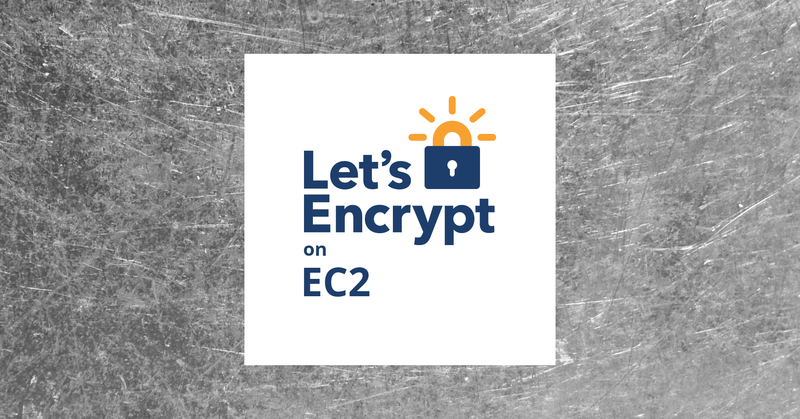 Today I want to show you how easy it is to get a free certificate from Let's Encrypt and automatically renew it in the future. I'll provide the commands for an Amazon Linux AMI, but they are similar for other Linux distributions. Certificates last only 90 days. You are "forced" to automate the process. Actually, this is great, and I'll show you how to do it. They do not offer wildcard certificates. An email address. You may get useful information about your certificates. The domain pointing to a directory on the server, that's accessible on the Internet. Let's Encrypt servers will access a file on http://example.com/some_secret_file_name to validate that you own the domain. Clearly understand that Let's Encrypt is currently in beta, and you will be running a beta version software on your server. Install some requirements for the following steps. Clone the letsencrypt repository and run the installer. Request a certificate for your domain and it's www subdomain. You must also specify the root directory of the domain. Remove the directory that was used for validation. This step is optional. Be sure to add the renew command in a crontab. Refresing your webserver command should also be here. That's it. I hope it was helpful.